It’s our last night in New York, so let’s get something that we won’t find at home, which brings us to Veselka in the East Village. 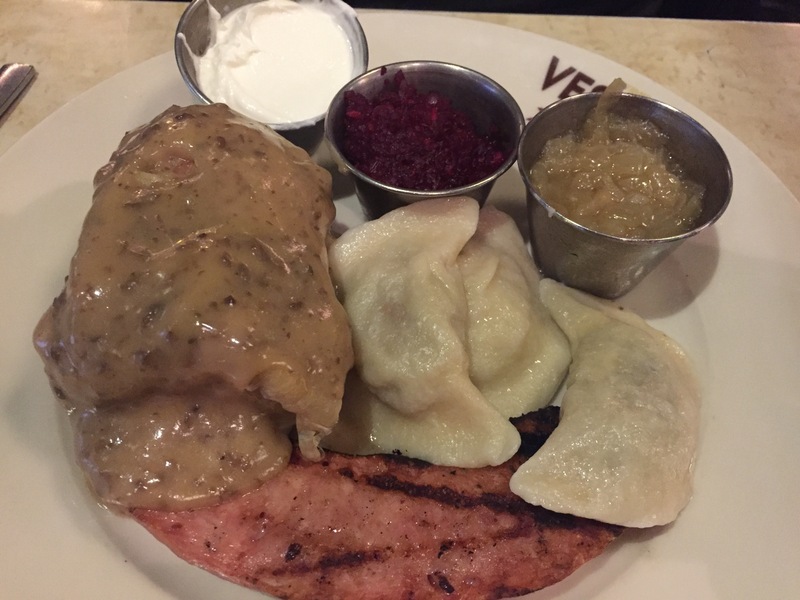 I was craving pierogies and this 24 hour diner consistently came up as some of the best in town. 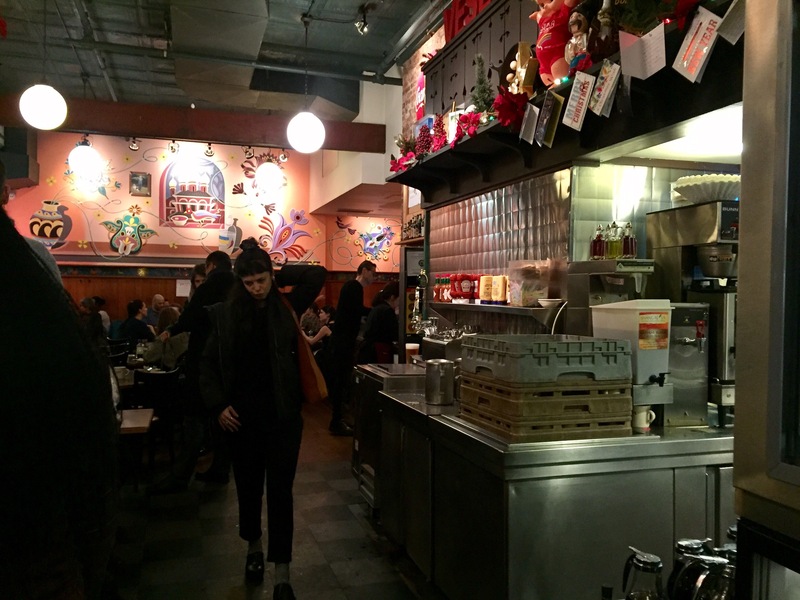 On a freezing evening we slip into a classic diner layout with Eastern European murals brighten the walls. Slavic beers fill the fridge case next to NY cheesecake and apple pie. After a short wait, we get a table in the middle of the packed dining room. 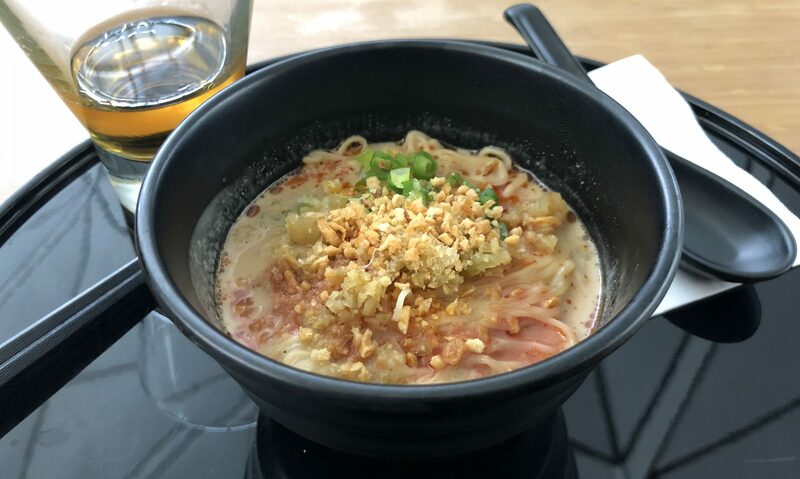 The menu is chock full of dishes that sound hearty and amazing on a cold night, so it’s hard to narrow it down. An intensely fuchsia bowl of Christmas borscht hides a mushroom dumpling under its sweet, earthy, and tangy broth and a dusting of fresh dill. 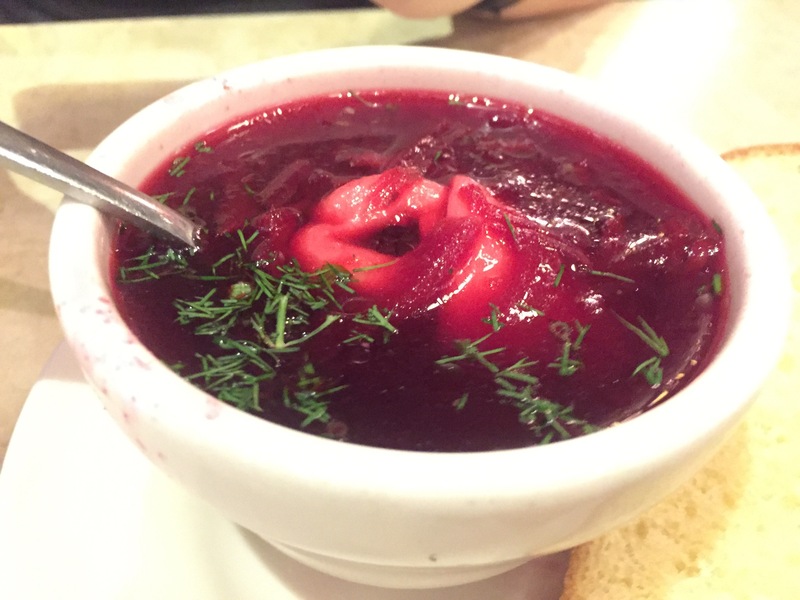 I’ve only had borscht a handful of times as a child and really disliked it, but this is a bright and invigorating dish. 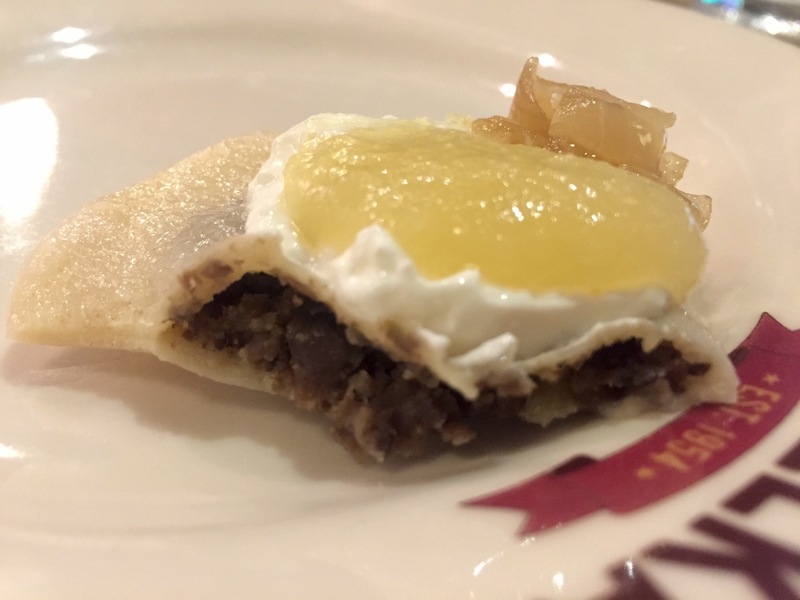 The dumpling provides an extra richness against the tangy sweetness of the broth. 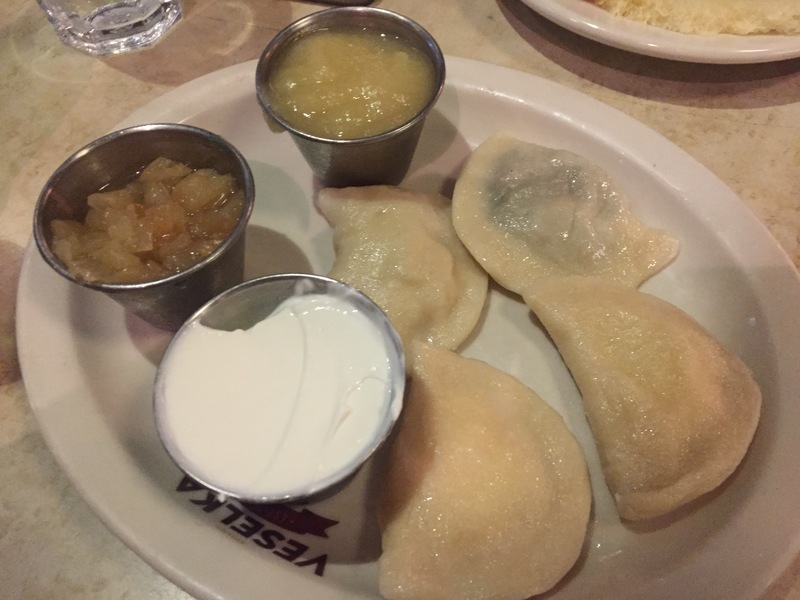 In memory of my Polish grandmother-like neighbor growing up, we next have some pierogies with grilled onions, applesauce and sour cream. The cheese ones are slightly sweet with a ricotta-like filling. The potato one has a nice creamy blend of potatoes and cheese, but the standout is the truffle with intense mushroom flavors pinching through the rich toppings. With the appetizers packed away, we move on to the main courses. 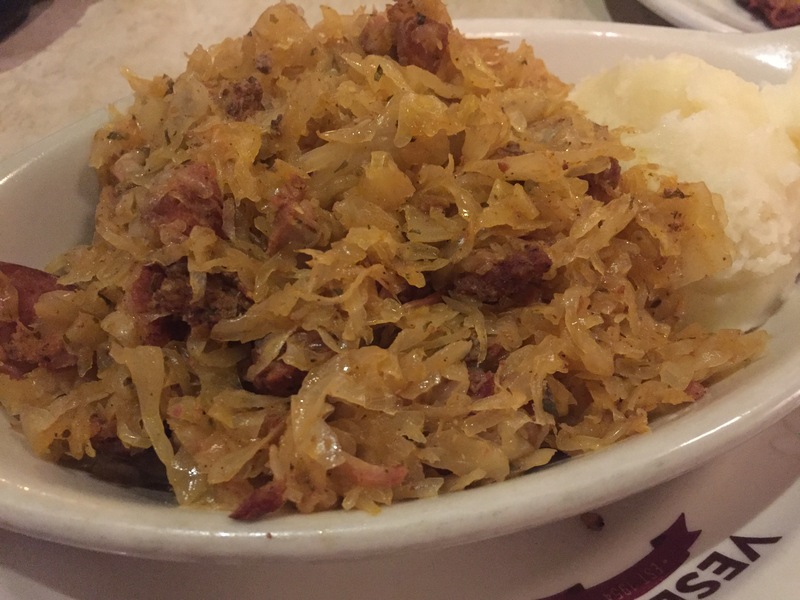 Bigos, a stew of pork and beef meatball, roast pork, sauerkraut and onions is hot, rich, sweet, tangy and exploding with umami flavor. 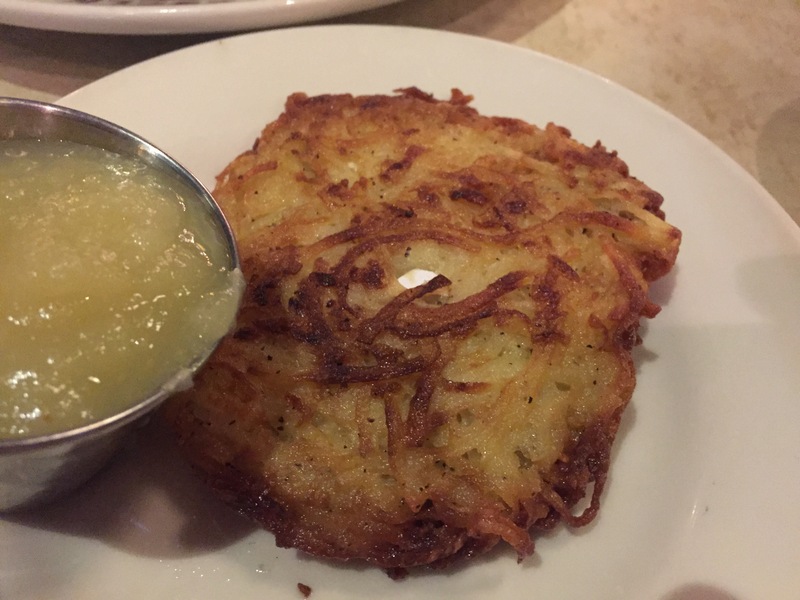 With a side of mashed potatoes and a crispy potato pancake, this is a perfect winter dish. The meat plate is the natural mate for classic meat and potatoes. 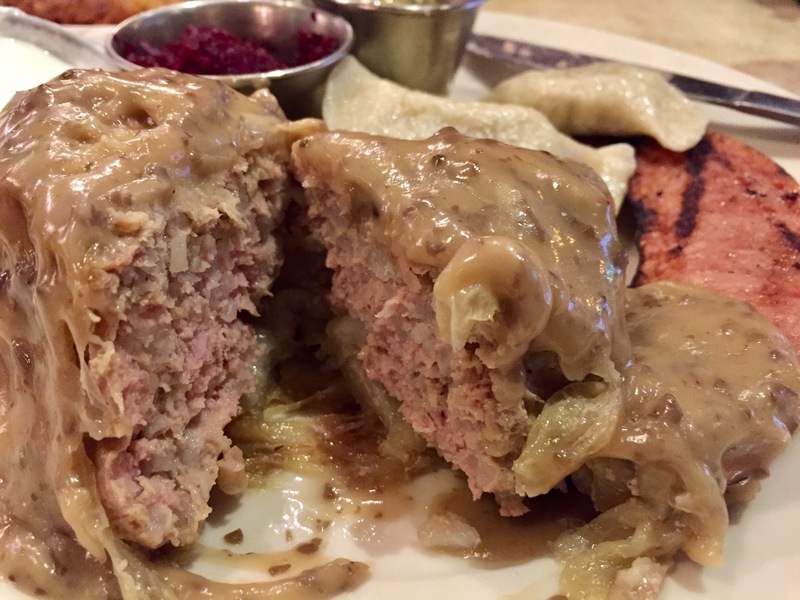 A meat-stuffed cabbage roll is basically a meatloaf wrapped in boiled cabbage and drowned in an amazing mushroom sauce. Next to it is a grilled kielbasa from a local butcher – not salty, and the epitome of flavors, spices, and that crisp skin. 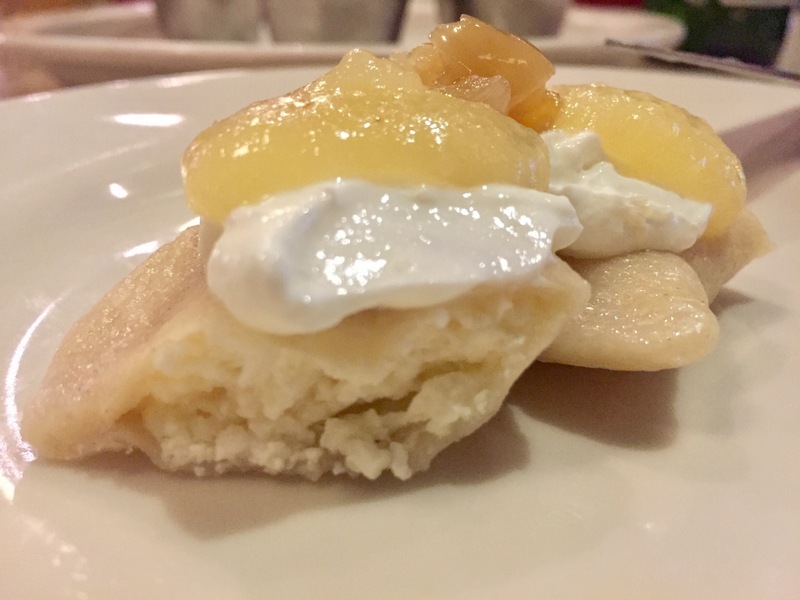 Rounding off the plate are three more delicious pierogies: potatoe, mushroom with sauerkraut, and a meat one that has the same mouth-watering mixture as the cabbage. I am extremely happy we stopped here, as this is the kind of family recipe kitchen that only an immigrant would usually get to enjoy.